Slipform Paving Equipment for every construction project: Curb, Gutter, Sidewalk, Barrier Wall, Bridge Parapet Wall and Shoulder Paving. 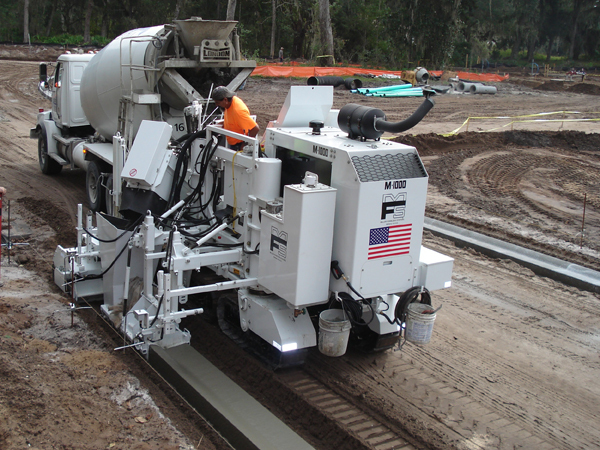 A heavy duty modular slipform paving machine that can pour radius as tight as 24″ or sidewalk as wide as 5′. Perfect for your curb, curb and gutter, sidewalk, and other versatile profiles. 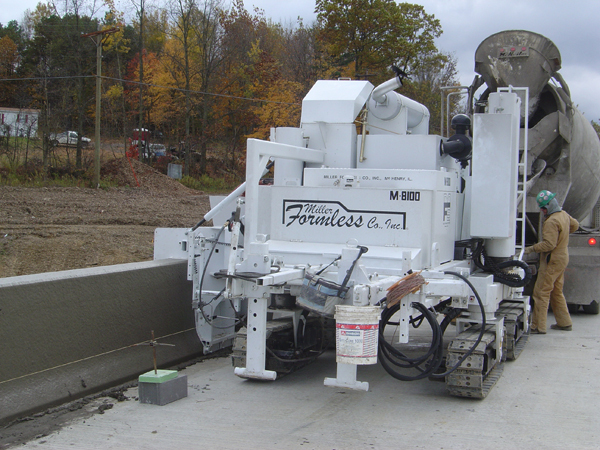 A highly versatile slipform paving machine that can pour multiple profiles from curb and gutter to 16′ paving widths, including barrier wall, parapet and ditches. 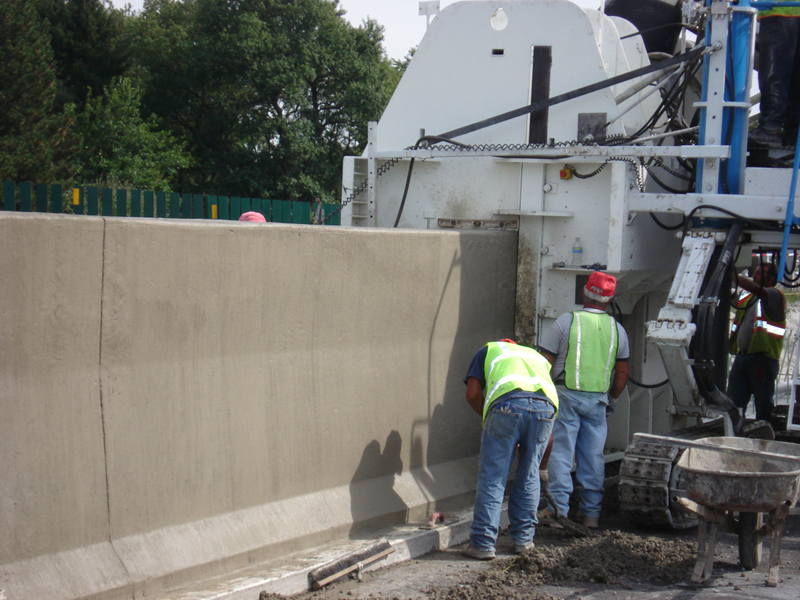 The M-8800 is our largest slipform paving machine that can pour up to 102″ barrier wall, bridge parapet walls and pave up to 20′ in straddle or side mount configuration. 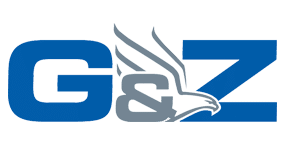 Two industry leaders, Miller Formless and Guntert & Zimmerman, working together to provide our customers unparalleled quality equipment and worldwide service. Custom built Curb and Gutter Molds and Barrier Wall Molds to meet all job specifications. Miller Formless has designed molds to accommodate over 2,000 different profiles, from barrier curb to wall that is over 9-feet high. Our capabilities don’t just lie in developing the mold profile, though. There are as many options available on our molds as there are on our machines. Because of their reputation for durability and reliability, used Miller Formless machines are often very difficult to find. Our sales team will help you locate the machine you are looking for. Contact Tod Smith at tod.smith@millerformless.com or 815-385-7700. Contact us for available rental equipment.